Jared Lawrence (second from left) and Brandon Paulson (second from right) started Pinnacle Wrestling School to help young athletes reach their potential, both on and off the mat. 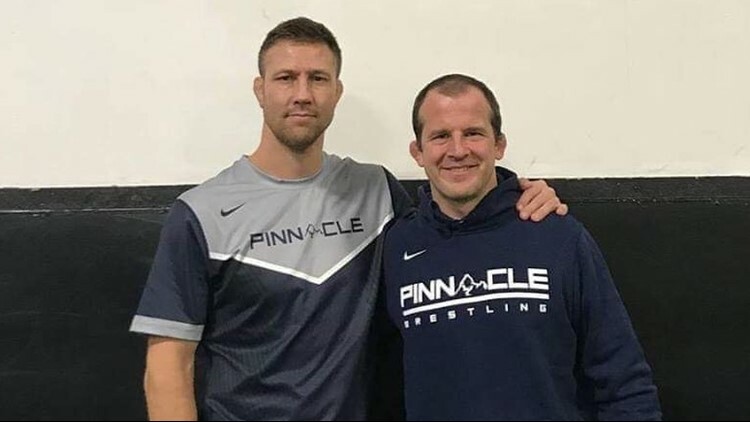 Jared Lawrence and Brandon Paulson are helping Minnesota wrestlers reach the next level through the Pinnacle Wrestling School. While Minnesota has a well-earned reputation and a perennial marketing plan touting it as the ‘State of Hockey’, we are witnessing considerable growth in other winter sports. One sport where Minnesota is particularly on the rise is wrestling. This is no small matter to Lawrence and Paulson who, besides sharing a lifelong love of wrestling, have spent the past decade helping grow the sport as business partners in the Pinnacle Wrestling School. While both men had considerable experience coaching youth wrestlers, for Lawrence Pinnacle was more of a way to find supplemental income while he was competing. For Paulson, his role in coaching local high school wrestler Jake Deitchler to a spot on the 2008 U.S. Olympic team (and a dip in the economy) encouraged him to take Lawrence up on his offer to become partners. That seems to be the general consensus, but the truth is in the numbers. Jared Lawrence and Brandon Paulson figure business at Pinnacle has grown an average of at least 20 percent over the past ten years. “We’ve probably grown at least 20 percent every year for ten years," said Lawrence. 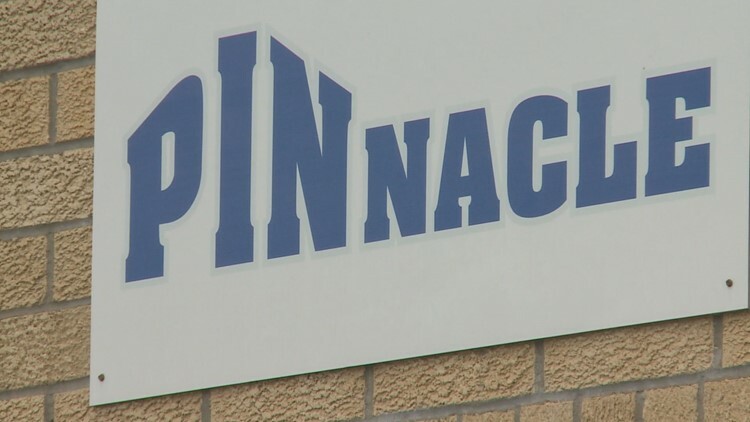 The new location of Pinnacle Wrestling School covers 13,000 square feet and is located in Roseville off I-35E and County Road 36. It's a location that draws wrestlers not only from around the Twin Cities proper, but from far outside the metro as well. Pinnacle serves five levels of athletes, starting with 3-5-year-olds all the way up to aspiring college, world team and Olympic wrestlers. “We probably have about 450 kids who come through our door on a yearly basis," said Lawrence. “On a weekly basis we have about 140 high school kids." Wrestlers practice at Pinnacle Wrestling School in 2013. Needless to say, Pinnacle’s success has not gone unnoticed. Each summer a group of Pinnacle wrestlers travel to places like Ohio and Oklahoma to test themselves against other elite wrestlers at major college facilities, in front of college coaches from around the country. “Basically, it started with us and the state of Oklahoma bringing in their best youth kids together so we can train together," explained Lawrence. “But then, some kids from Kansas come, some kids from Colorado come, some kids from Missouri come, and it’s turned into the best-of-the-best, and we just go there and we essentially turn them loose." This all takes place at Oklahoma State University, meaning the wrestlers get a lot of publicity, Lawrence said. "We [also] go to Ohio and a bunch of different places and college coaches have a chance to see these kids, and Becker is like 'I understand what you’re doing but that doesn’t mean that I have to like it,'" Lawrence said. “Becker” is Lawrence’s former teammate and lifelong friend Luke Becker, assistant head coach at Lawrence and Paulson’s alma mater, the University of Minnesota. Lawrence estimates 15 of the 28 current Gophers are Pinnacle products. “These guys are our friends, (U of M Head Wrestling Coach Brandon) Eggum and Becker, they’re friends of ours but we also have guys that it doesn’t work to go to the ‘U’, so that’s hard," said Paulson. "They think that all the guys should go there...they want our best guys and sometimes that’s not the best place for them." What’s surprising about the Pinnacle approach is that despite having “Love the Fight” as their motto (and a lot of success on the mat) Pinnacle’s founding partners want to be clear that their program is not outcome-based. “For some parents, you know, ‘go outside and play’ doesn’t exist anymore, so you want to find some place where you want them to learn a hard sport and dedication to a sport because there’s a lot of things you can learn from it beyond wrestling," added Paulson. As we head into the state high school and college-level tournaments in the next month, Lawrence and Paulson will transition (albeit briefly) from coaches to fans, often with no clear favorite to cheer for.